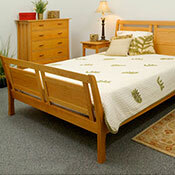 Vermont Furniture Design's Sleigh beds are hand-crafted from the finest solid wood. Wooden bed frame, bed footboard and headboard in king size and queen size. Cherry, maple or walnut bedroom furniture. Headboard post height 46', High Footboard post height 31', Height under rail 8 3/4'. 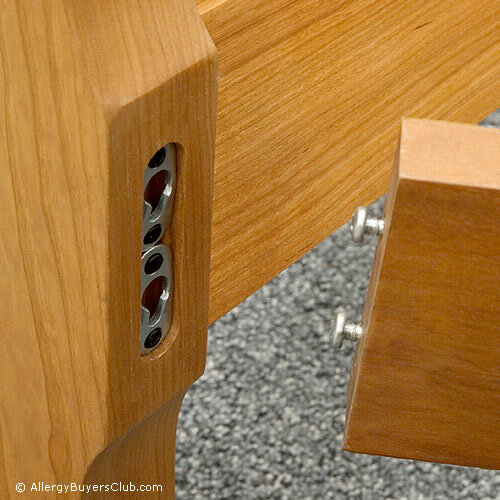 In solid cherry, maple or walnut wood. Discover the beauty, craftsmanship and timelessness of this heirloom quality Sleigh bed. The classic sleigh bed look features raised panels and delicate curvature for a classic yet unique look. The beauty and fine craftmanship of the New England Wood Sleigh Beds finished design is made possible by the hours of hand crafting, hand sanding and the hand-rubbed oil finish that goes into their making. Make this sleigh bed the centerpiece of your bedroom. 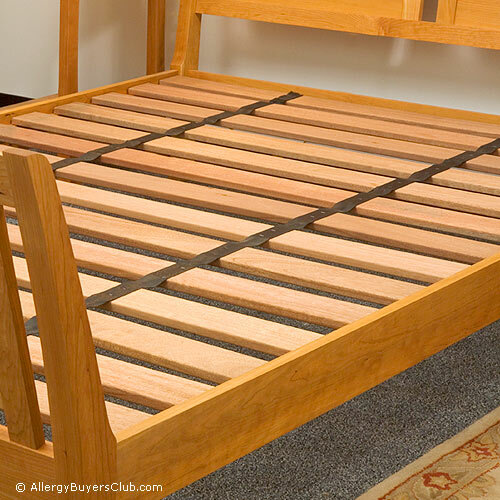 Choose low (not pictured) or high footboard, cherry, maple or walnut wood beds in king or queen sizes. Choose either a high profile footboard or low profile footboard (not pictured) design for the end of the bed. A high footboard creates more of a traditional look while the low footboard runs perpendicular with side rails providing the look of a platform bed. Only the high footboard is pictured. Please click here to see an example of a bed with the low profile footboard design. Please note: The Sleigh beds are to be used with mattresses only (without a box spring). The slat support system, the bed frame's design and a solid foundation provides full support and function for mattresses without a box spring.